Cross have the perfect gift for the women that inspire you. Cross have inspired generations of women to be creative, write and change the world, from scientists and authors to mathematicians and artists, with a pen that’s always by their side. And, with the extension of Cross’ Century II collection, that famous legacy can continue. In March, Cross will add new colourways to its iconic silhouette, just in time to celebrate International Women’s Day and Mother’s |Day (8th and 11th March respectively). The addition of a Plum with rhodium plated appointments adds an under-stated touch of class to this ever popular collection, whilst inspiring the creative process, time and time again. Partnered with the plum is a stunning, glossy, white lacquer body, presented with a rose gold clip and appointments, completing a writing instrument that is on trend but with a vintage twist. Plus, the option of personalisation ensures that women-changing-the-world are known wherever and whenever they put pen to paper. But if Dad’s, brothers and uncles are looking longingly for the perfect gift, Cross hasn’t forgotten them with a third colour adding to the Century II portfolio. The ever popular gunmetal grey with sleek black detailing completes the trio of new products launching in March, meaning everyone can start Spring with a touch of style. 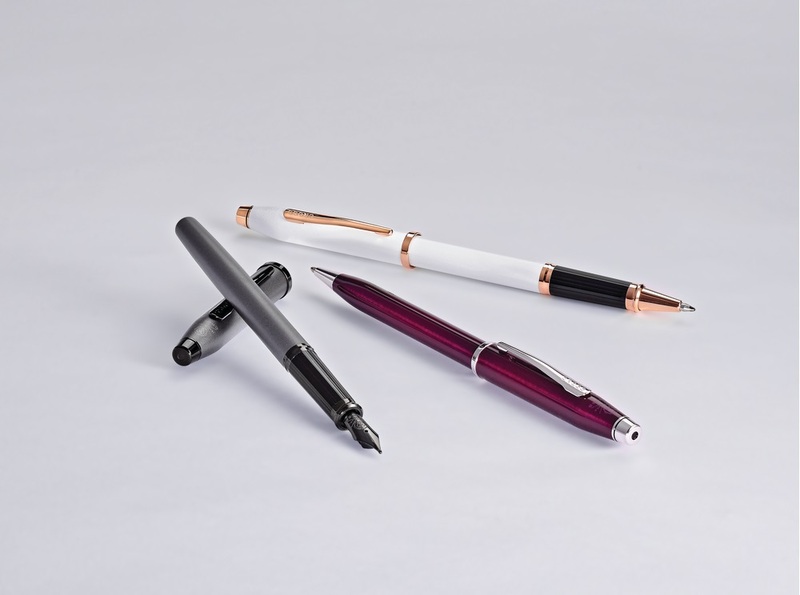 Available in ballpoint, rollerball and fountain pen, the Century II is available for £85, £105 and £125 respectively from cross.com and all good stationery retailers.